Our Ride On Mowers make cutting the grass quicker, easier and more fun! No matter what size lawn you need to look after, we've got a Ride On Mower to suit - from models small enough to squeeze through your garden gate, to larger Garden Tractors that are perfect for larger areas of grass. 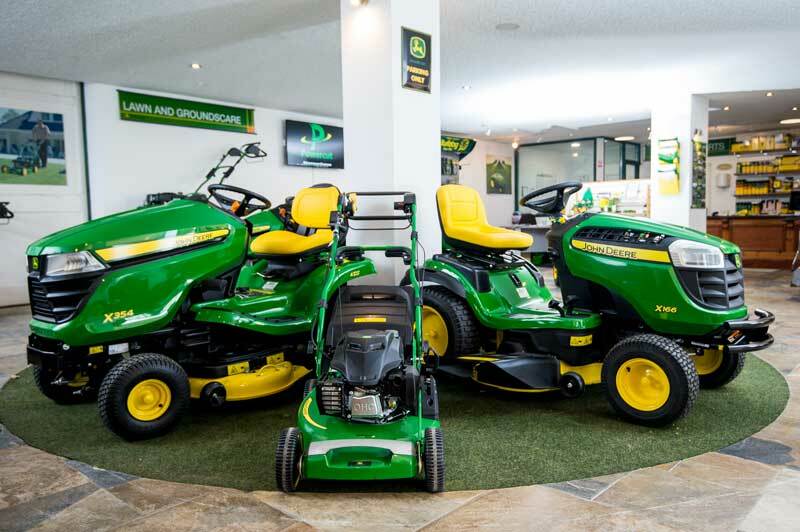 Our experts can help you find the right model - and you can try them in the grounds around our showroom so you can be confident you've got the mower that suits you perfectly. Designed for comfort, convenience and excellent performance, all of our lawn tractors give you exceptionally smooth ride and great fuel efficiency - and an incredible cut for your lawn. We don't sell lots of different makes of similar mowers. We simply sell what we think to be the best...and so only sell John Deere Ride On Mowers. We're confident their quality, reliability and performance puts them head and shoulders above the marketplace. 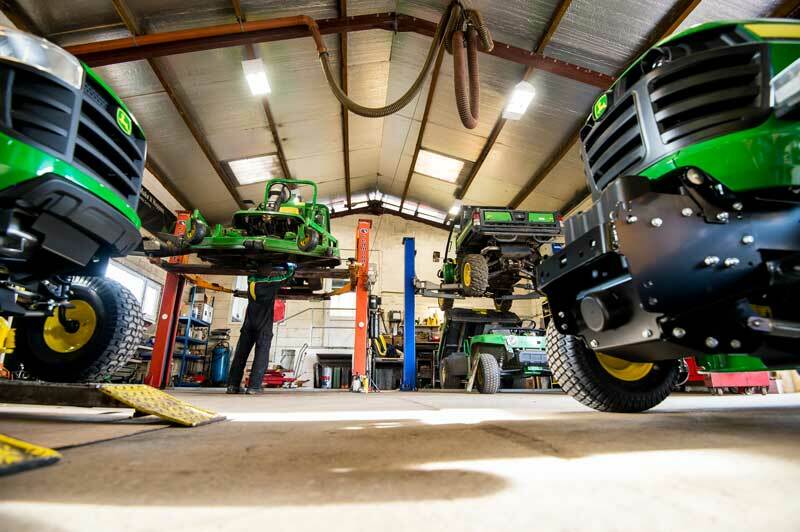 Our mowers, like all the equipment we sell, are backed up with a sophisticated servicing workshop, highly trained technicians and a full parts and spares service. So you can be sure your mower will serve you well for years to come. Pop by and see our range of Ride Ons for yourself, or you can browse through our collection of machines online.